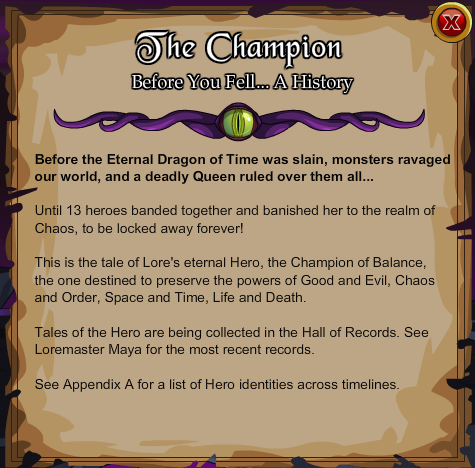 Face the 13th Lord of Chaos! Must have completed the 'Defeat the 12 Lords of Chaos!' quest to access this location. Note: Defeating Hero (Chaos Lord) auto-completes the 'Face Yourself' quest.